Car Accident Lawyers in WI, IL & IA | Hupy and Abraham, S.C.
Do You Know The Dangers of Drunk Driving? 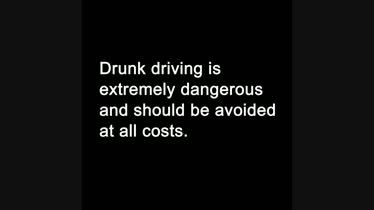 Drunk driving is extremely dangerous and should be avoided at all costs. If you’ve been drinking, don’t drive. Help keep everyone on the road safe. The days, weeks, and months following a car accident can be physically painful, emotionally challenging, and simply overwhelming. As you heal from your physical injuries, you need to take action to protect your legal rights and your future recovery. If you have been hurt in a Wisconsin, Illinois, or Iowa car crash, then the experienced car accident lawyers of Hupy and Abraham may be able to help you during this difficult time. We will go above and beyond the call of duty to make sure that you are treated fairly, provide you with the personal attention that you deserve, and use our experience of helping more than 70,000 injured people make successful recoveries when we represent you in insurance negotiations or court. Gather as much information as possible at the accident scene. This includes taking pictures and writing down the contact information for all other drivers, passengers, and accident witnesses. 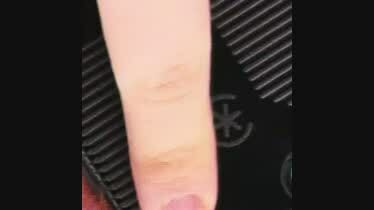 Report your accident to the police. Call 911 after your crash so that the police will be promptly dispatched to the accident scene. The police will come to the scene of your crash, make sure that you are safe, investigate what happened, and write an accident report. It is important to see a doctor as soon as possible after a crash so that any injuries can be diagnosed and a treatment plan can be developed. It is equally as important to follow your doctor’s treatment recommendations and to receive follow-up care as recommended by your physician. Let your insurer know the date, time, and location of your crash. Do not speak to insurance adjusters. It is the insurance adjuster’s job to get you to settle your claim for as little as possible. Anything that you say to an insurance adjuster may be misunderstood and used against you. Instead of talking directly to the insurance adjuster, you can ask that the adjuster contact your attorney. It is important to keep all of the information about your accident together in one place. Your file may contain copies of your medical bills, pictures of the accident, a journal of how your injuries have impacted your life, and any other documentation of your accident or resulting injuries. Schedule a free consultation with an experienced car accident lawyer who will provide you with the right representation from the beginning of the case through to its conclusion. Learn about our car accident attorneys directly from our previous clients. Read the more than 500 reviews on our website and find out what people are saying about the attorneys in our 11 Midwest offices. Our car accident lawyers have recovered more than $1 billion on behalf of people who have been hurt in personal injury accidents throughout Wisconsin, Iowa, and Illinois. Below, you can browse the results of our most recent cases to learn how we’ve helped individuals just like you who have been hurt in car crashes. Have You Been Hurt in a Wisconsin, Illinois, or Iowa Car Crash? Our car accidents lawyers have successfully helped people hurt in Wisconsin, Illinois, and Iowa crashes. We would be pleased to provide you with a free consultation anywhere in Wisconsin, Illinois, or Iowa that is convenient for you. Our Wisconsin offices are located in Milwaukee, Appleton, Green Bay, Madison, and Wausau. In Illinois, our offices are located in Bloomington, Gurnee, and Rockford. We also have conveniently located Iowa offices in Cedar Rapids, Des Moines, and the Quad Cities. Have you been injured in a car accident and need help from an experienced car accident attorney? Our experienced lawyers are here to provide you with a free, no-obligation case consultation at your convenience. Please call us or fill out our online contact form anytime—24/7/365—to learn more. 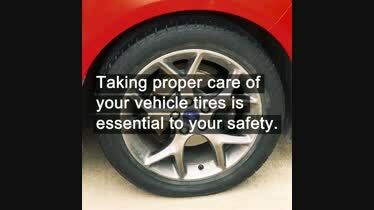 Car Tire Safety and Maintenance Taking proper care of your vehicle tires is essential to your safety. Follow these tips so you can avoid any problems while driving. 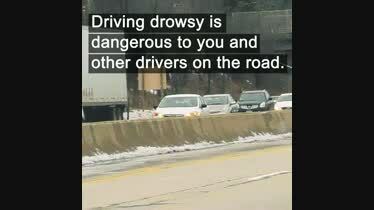 The Dangers of Drowsy Driving Driving drowsy is dangerous to you and other drivers on the road. There are around 100,000 reported car crashes involving drowsy driving every year. 5 Tips for Teen Drivers Teen drivers are at a higher risk of being involved in an accident. Here are 5 important safety tips teen drivers should follow.